welcome to my first blog post and many more to come . Being an experimental beauty junkie i keep my eye out for special deals that catch my eye and make me want to go to that shelf that seems to be shrouded in the golden light with the word sale plastered all over it. This made me look at the garnier's products that were on sale that week at a well known UK beauty store. I was quite impressed as this combined the two things the media and beauty magazines say that should be in our skin care regime . 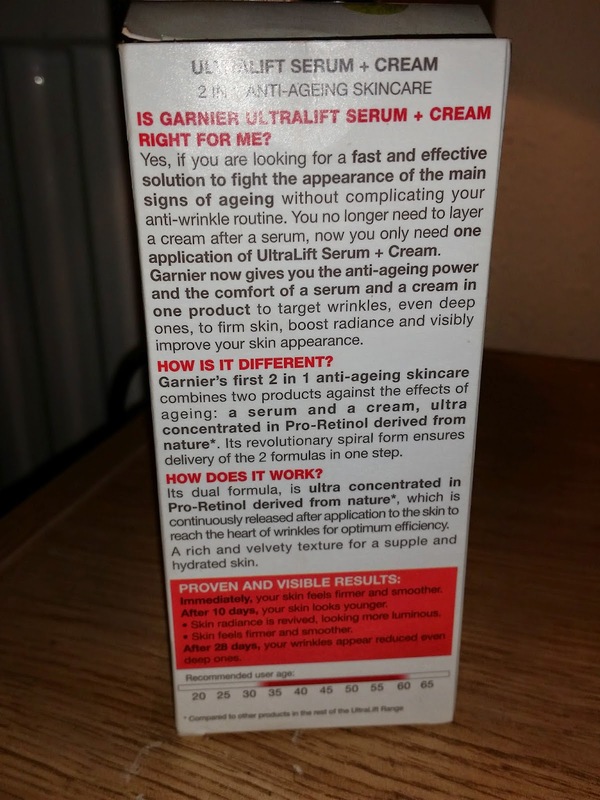 It even states on the box YOU NO LONGER NEED TO LAYER A CREAM AFTER A SERUM . People who are leading busy lives and are pushed for time in the morning or any time of the day this gives the impression it is a time saver! 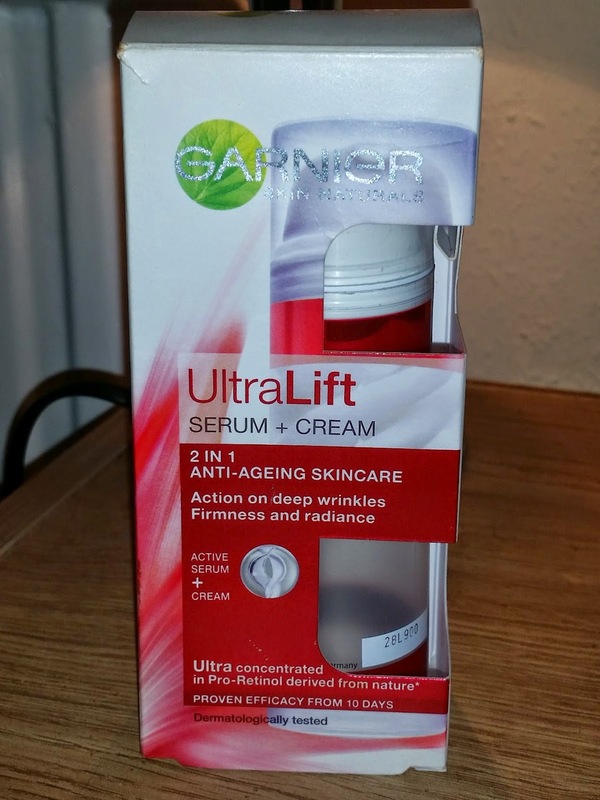 I'm usually quite sceptical about products that claim things as i suffer with sensitive skin and any change in my skin care usually breaks me out, but u have to try new things to know whether there going to suit you or not. I popped the lid off and pressed down and was amazed at how well u could actually control how much comes out. Don't you love some cosmetics that when u press down too hard or squeeze a tube that your left with so much of the product u didn't want that it turns into a wasted mess! 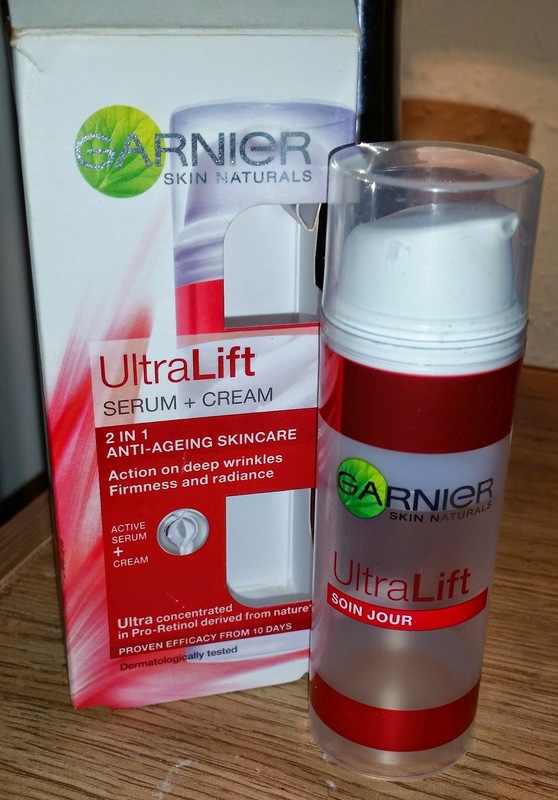 With this u don't and the product is quite creamy but light. The smell was quite delicate and not over powering at all. It glided on over my skin and felt quite soft and moisturising, I use either one pump or two to cover my whole face but some people might want to use more. I have read reviews about this balling up when some people have used it but this hasn't happened to me. One suggestion i would add if it does, is to use a buffing brush after application so the product is worked all around your face and into your skin. One major factor for me was..... it didn't break my out !!! and i actually haven't had a breakout since using this! I'm onto my second purchase of this little beauty and I'm glad it caught my attention when it was on sale! This is definitely a worth while purchase and it doesn't break the bank!